The ‘Fontana di Trevi’, or the Trevi Fountain is perhaps the most famous fountain in the world and definitely in Rome. Openings hours You can visit the fountain both during the day and in the evening, when it is illuminated by beautiful lighting. The ‘Fontana di Trevi’, or the Trevi Fountain is perhaps the most famous fountain in the world and definitely in Rome. The baroque fountain on the Piazza di Trevi square was initially designed by Bernini for Pope Clemens XII. However, it was not built until 50 years later after a (less expensive) redesign by the architect Nicola Salvi. Construction lasted from 1732 to 1762. The fountain's fame is in part the result of the many films that featured the Trevi Fountain, including La Dolce Vita, Angels and Demons, The Lizzie McGuire Movie and Roman Holiday. The almost 30-metre high Trevi Fountain was built against the back of the Palazzo Poli building. In the centre underneath the arch stands the statue of the nautical god Neptune, being pulled to the sea on his shell-shaped chariot pulled by two winged horses and tritons (young gods of the sea). One of the horses is calm and obedient, the other is boisterous. They symbolise the changing tides of the sea. The two statues in the niches (made by Filippo della Valle) next to Neptune represent Abundance to the left and Health to the right. The name ‘Trevi’ is derived from tre via, or three roads. Three roads used to come together at the site of the fountain. It is tradition to throw a coin into the fountain – keep your eyes closed and throw the coin into the water over your left shoulder using your right hand. 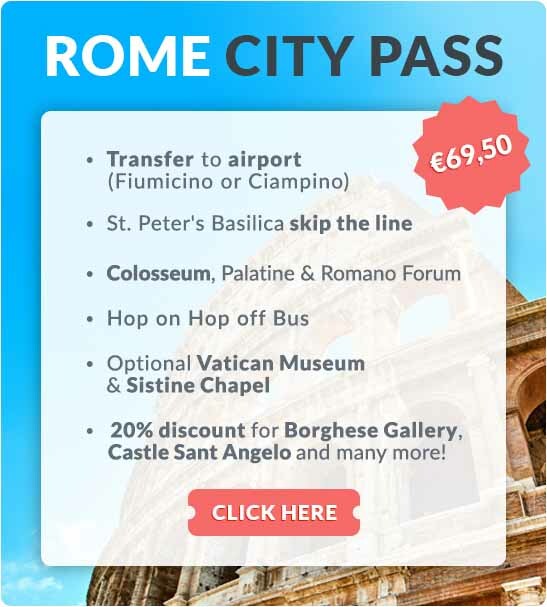 According to legend, the person who throws the coin will one day return to Rome. Did you throw two coins into the fountain? You will find your love in Rome. Prefer to get married (or divorced)? Throw three coins into the fountain. Every week, the municipality of Rome cleans the fountain and donates a large portion of the proceeds (1.4 million annually) to a charity that helps poor families. 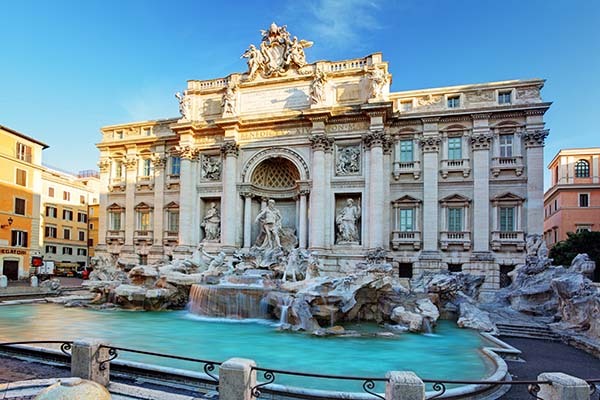 Where is the Trevi Fountain in Rome?